As the year turns, we’re now well and truly in the time of high summer and harvest. This year’s heat and lack of rain means the gardens are very dry so the volunteers have been doing a great deal of watering. Squashes are just starting to ripen and will be on sale from next week. 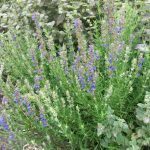 We have potted herbs for sale, sown and grown by the Herbs for Health group. 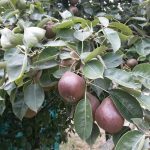 The fruit trees and bushes are fruiting early this year so don’t miss out! Ask staff if you’d like to pick your own. 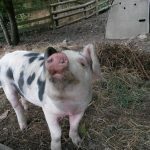 The two new piglets are now going outside 4 days a week day into the cool forest pig pen; they are enjoying seeing all the visitors. 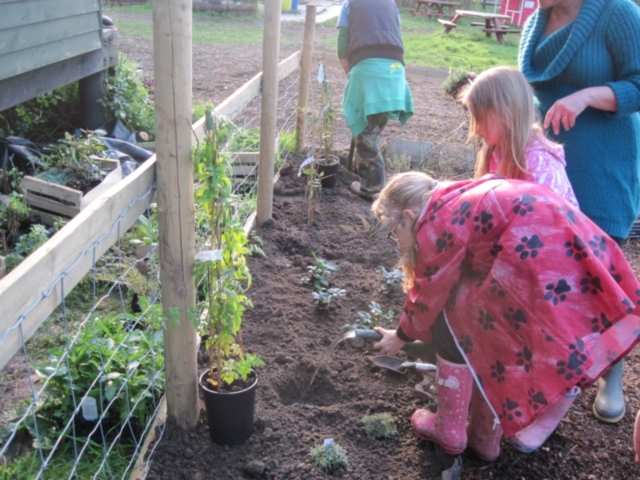 The new chicken run is a great success there is lots of interest and food for the chickens and squashes and meadow plants growing naturally. We have a set aside the pig pen near the ducks this year, and it has attracted frogs and toads. 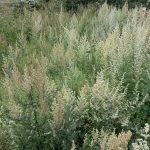 This is due to the wild plants such as Mugwort and Goosefoot growing there, creating damp conditions underneath and this has helped them get through this dry time. 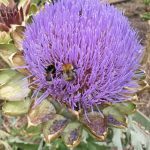 Bumble and Honey bees are loving the artichokes and sunflowers. Honey will be on sale from September. Looking forward to seeing you all on the 22nd August for the celebration. 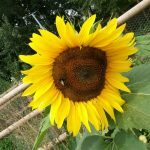 This entry was posted in Animals, Garden, Volunteers and tagged Animals, community, community farm, fun, gardening, produce, vegetables, volunteering on August 10, 2018 by helen Gray. 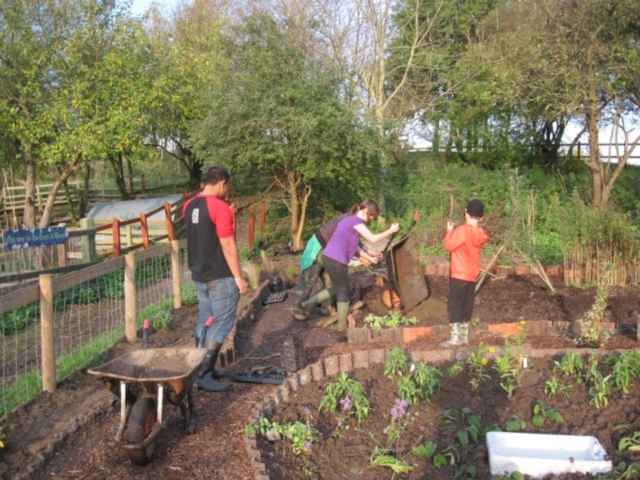 Last week we had four Yr10 students here to do their work experience. 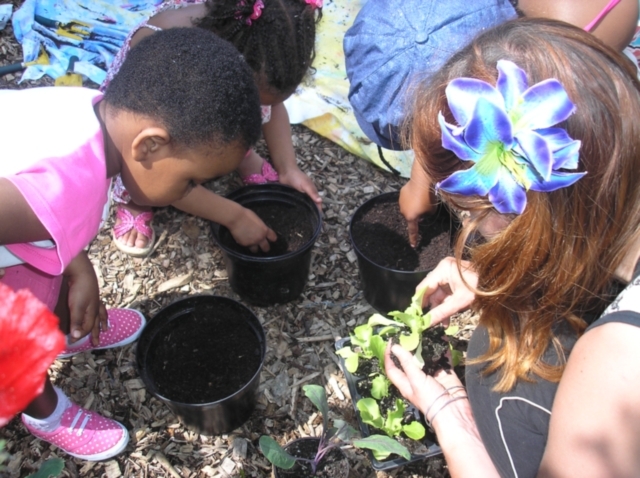 The students are from different schools, but had all chosen to come to the farm. Kian likes animals and had worked with horses before, Henial likes animals and is local to the farm. 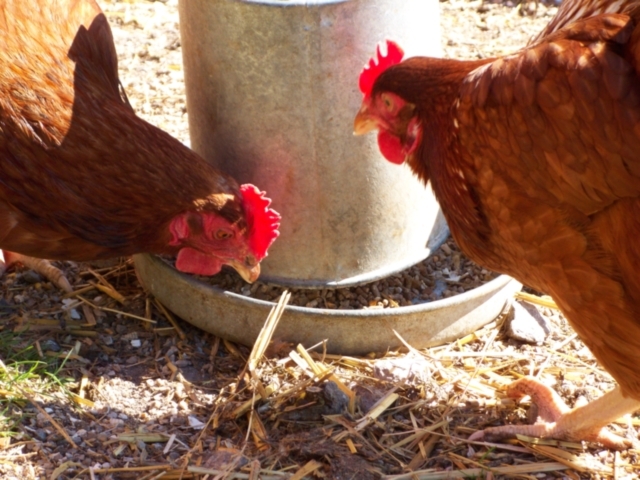 Emma had worked with chickens before and wanted more hands on experience as did Meg. They all loved everything about working on the farm, being outdoors and working with the animals, and said that they would definitely love to come back. 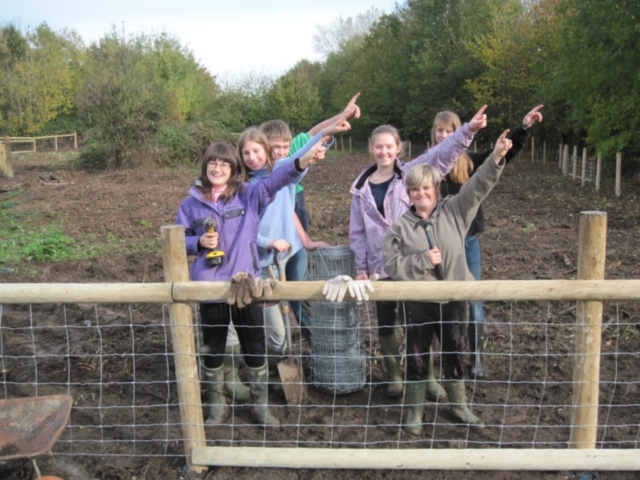 They all felt that volunteering on the farm had improved their confidence and given them practical skills for other areas of their lives. Their favourite part was the goats. Kian and Henial’s worst part was digging hole, Meg and Emma’s worst part was carrying brambles. 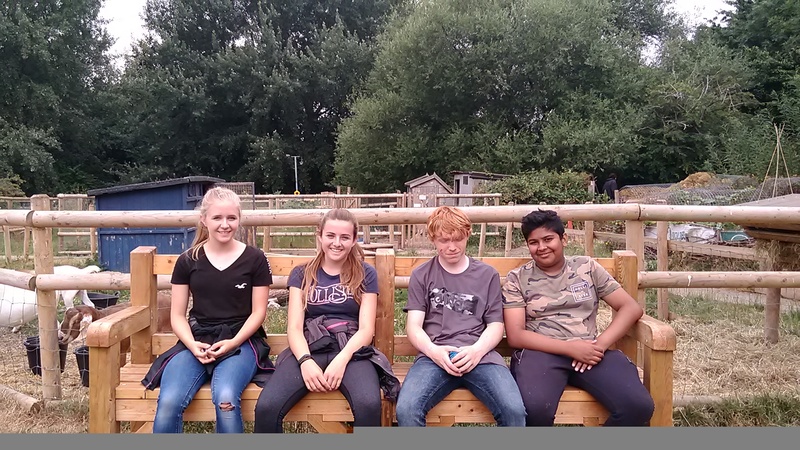 This entry was posted in Animals, Volunteers, work experience and tagged farm, fun, goats, volunteering, work experience, young people on July 19, 2018 by helen Gray. 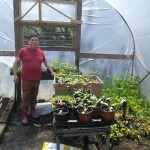 Katie has been volunteering with us for over 3 years. She first came for work experience whilst studying for her Level 3 in Animal Management. She is now in her final year of a Foundation Degree in Animal Management at Weston College. 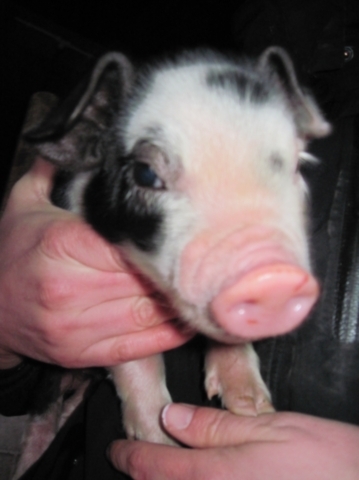 She also works as an Animal Care Assistant at Animal Farm in Brean. 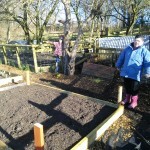 Katie says that volunteering at the farm helped her get on her Foundation Degree course and helped her get her job, for two reasons. 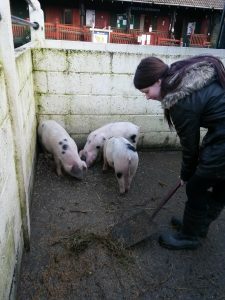 Firstly the farm was able to provide her with a reference, and secondly the experience and confidence she’d gained through coming here really impressed the college and her employers. 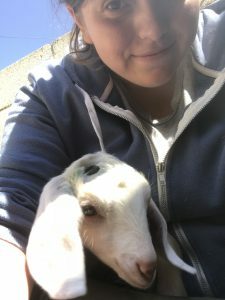 She loves volunteering at the farm and especially likes new experiences and making friends, and says there are no worst parts for her. She really loves every day! 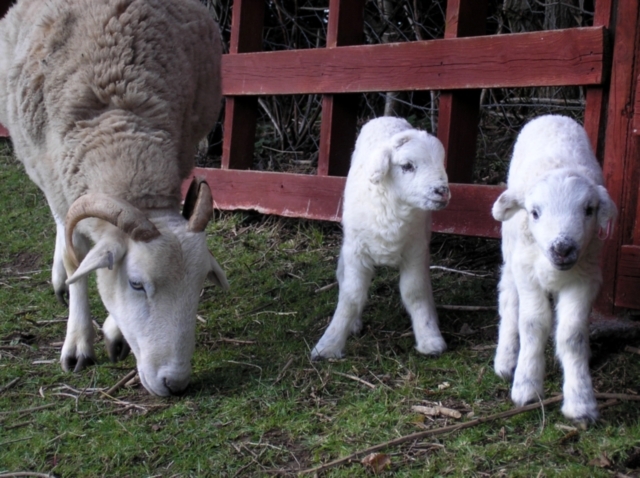 A few weeks ago, Katie was lucky enough to see Snowy give birth to her kids. She says that was the best birthday present ever! This entry was posted in Animals, Volunteers, work experience and tagged animal care diploma, community farm, fun, goats, livestock, volunteering, work, work experience, young people on May 30, 2018 by helen Gray. 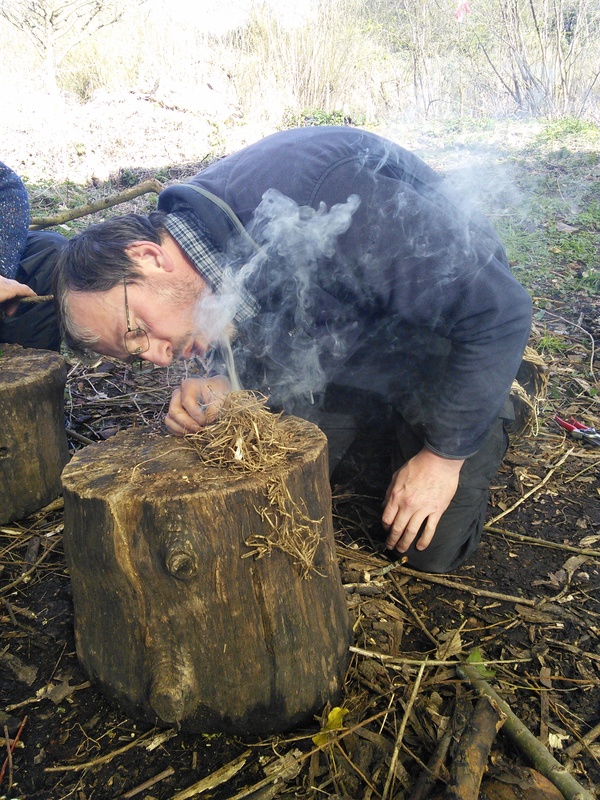 Paul has been volunteering with us for over 2 years. 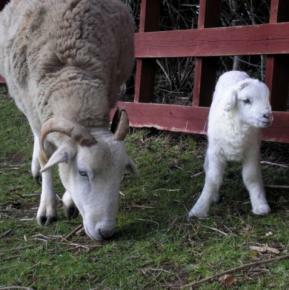 He was interested in the farm as he wanted to learn how to look after farm animals. He was very pleased to find somewhere to do this, that was local to him. 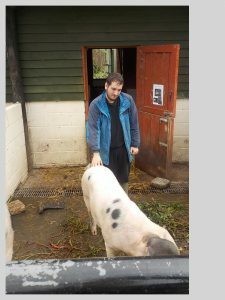 His favourite part of the farm is the pigs – he loves looking after them. He also enjoys the fact that every day is different – there are always a few surprises! His least favourite job is unloading deliveries – particularly the hay and straw deliveries that we get for animal bedding and fodder – he ends up covered in bits of straw. 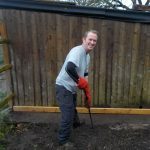 As a result of his volunteering at the farm, Paul had an apprentiship with ALS Energy Group, learning how to do energy audits of people’s homes, with a view to reducing energy bills. 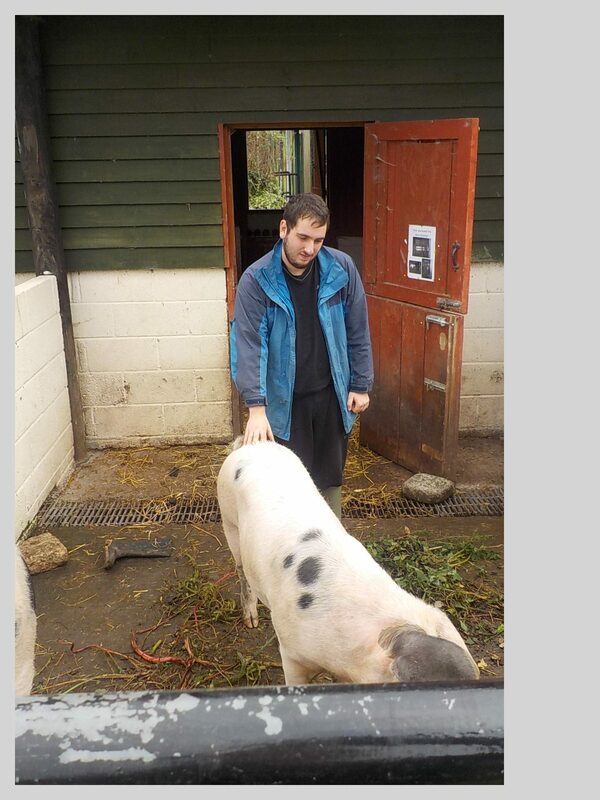 In the future Paul would like to work on a commercial farm – preferably one with pigs! 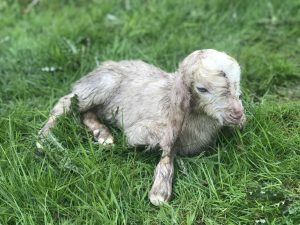 This entry was posted in Animals, Volunteers and tagged Animals, community farm, livestock, Pigs, volunteering, work experience on September 29, 2017 by Kerry Rowe. I began volunteering in Feb 2016 when I was doing my Animal Care course. I was coming to the farm twice a week (Wed and Fri), in order to complete my work experience hours for college. I completed my course in July 2016. 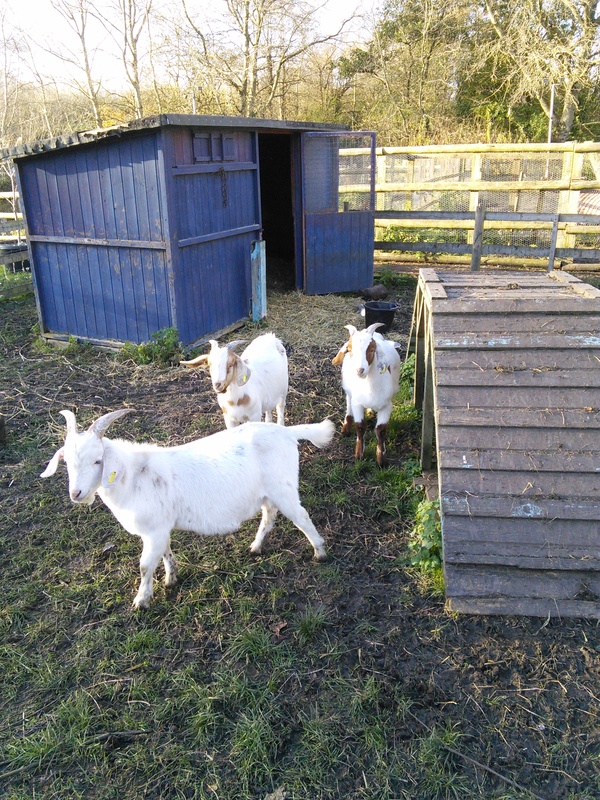 Having finished my course I realised how much I enjoyed working with the farm animals and people, so I decided to continue as a volunteer. 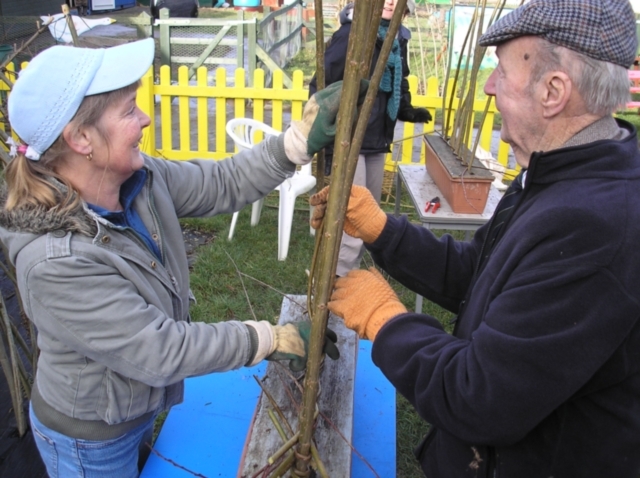 I have continued volunteering every Friday, even though I have recently got a job in WH Smith, I still want to volunteer as often as possible. 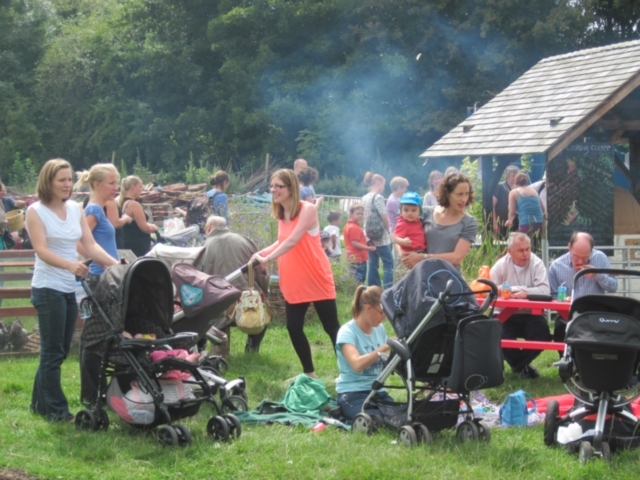 I used the farm as a reference when I applied for my job and I believe my experience at the farm has been very useful, particularly when talking to customers and working with other staff. 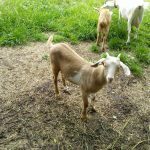 This entry was posted in Animals, Volunteers, work experience and tagged animal care diploma, Animals, community farm, fun, volunteering, work experience, young people on January 31, 2017 by Kerry Rowe. Paul has been volunteering with us for 5 months. 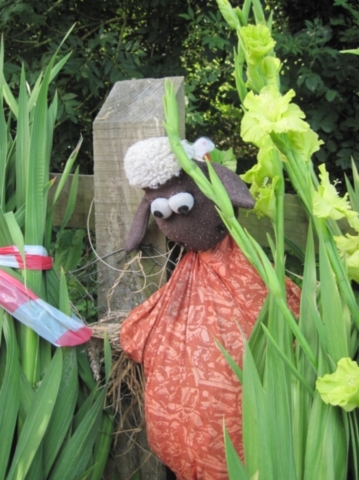 He helps with farm maintenance such as fencing, cutting the grass, cutting weeds back and painting. 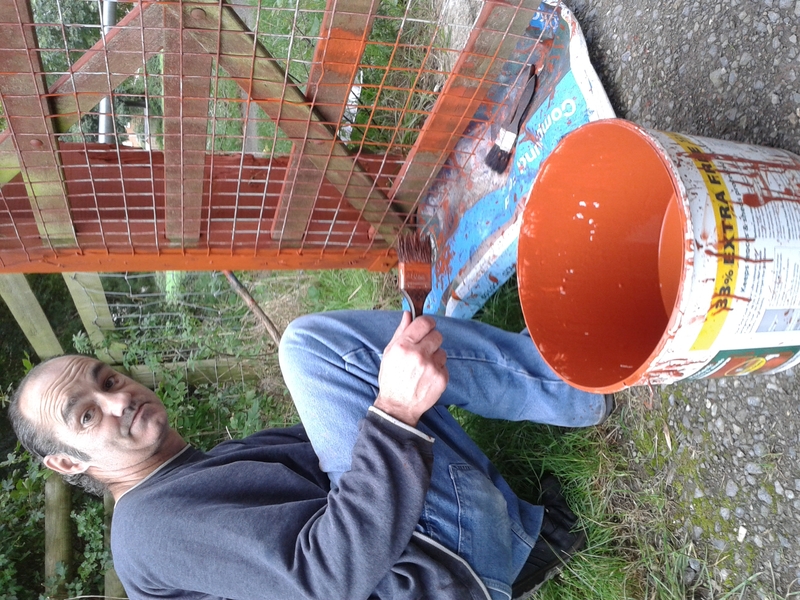 He’s recently done a great job painting our vegetable stall, guinea pig run and the front gate. 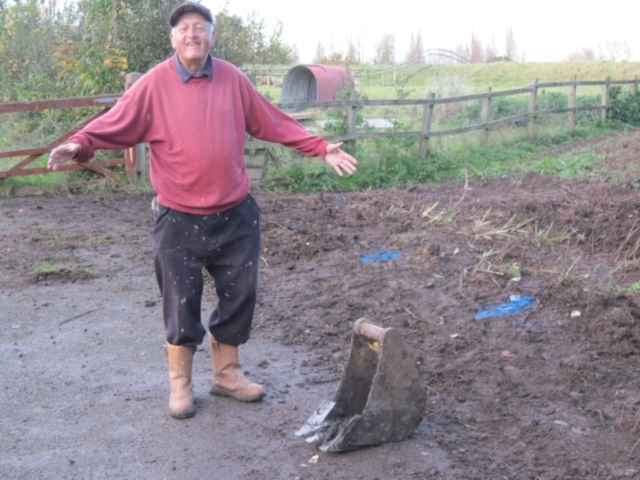 Paul says volunteering on the farm has really helped his peace of mind. He much prefers to be out in the fresh air and he likes to have a job that he can see makes a difference. 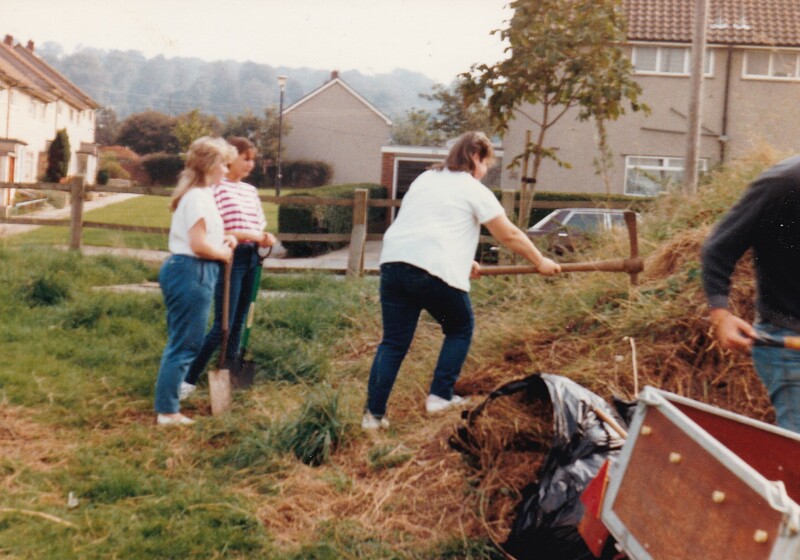 For example he loves it when he can see people enjoying Community Orchard after he’s cut the grass. It’s important to him to be able to a job that he can work of from start to finish. 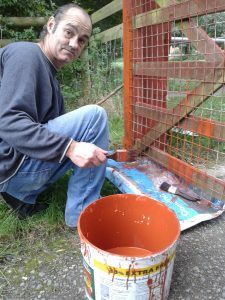 Paul loves volunteering at the farm as it’s a nice place to come and visit and he can see life carryng on all around him. 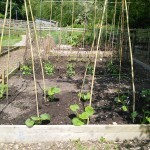 This entry was posted in Garden, Volunteers and tagged farm, fun, peace of mind, volunteering, volunteers, wellbeing on September 29, 2016 by Kerry Rowe. 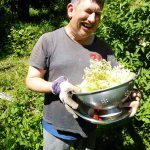 Andrew has been volunteering on the farm twice a week for 8 years! He loves coming, and turns up whatever the weather, rain or shine. 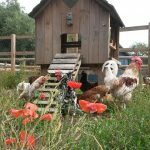 His favourite jobs are collecting the eggs, refilling the poultry drinkers and giving the chickens their corn. Today Andrew was collecting windfalls for the pigs. 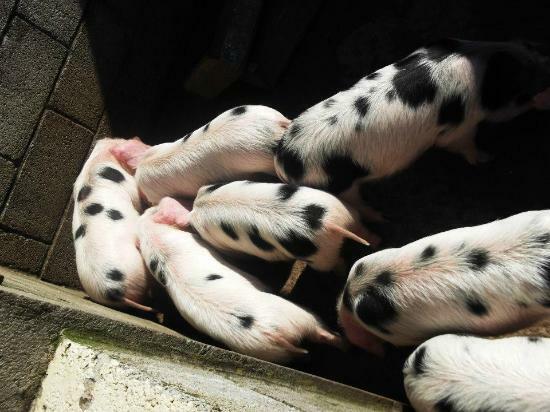 We have Gloucester Old Spot pigs – another name for them is Orchard Pigs as they used to be kept in the apple orchards that were once very common in the west country. Andrew is also branching out and volunteering in our Community Cafe at weekends. 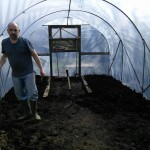 He likes working there as it is very different from the farm – he has to dress smartly and stay nice and clean. 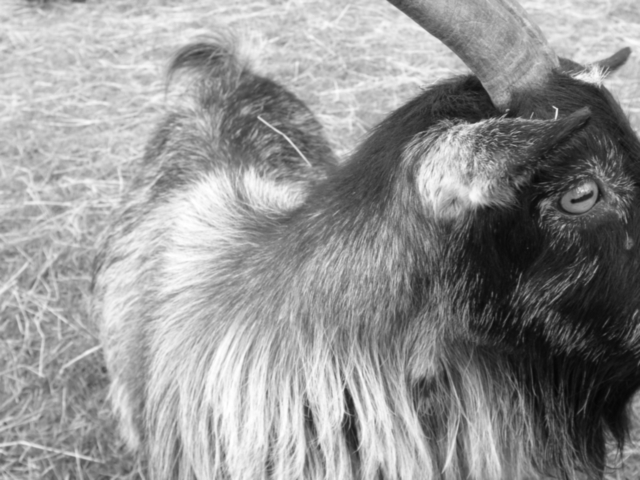 Andrew used the farm’s tablet to take some pictures of his favourite animals. 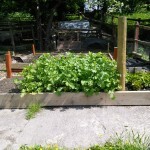 This entry was posted in Animals, Community Cafe and Training Centre, Volunteers and tagged Chickens, community, community cafe, farm, Pigs, volunteering, volunteers on June 30, 2016 by Kerry Rowe. 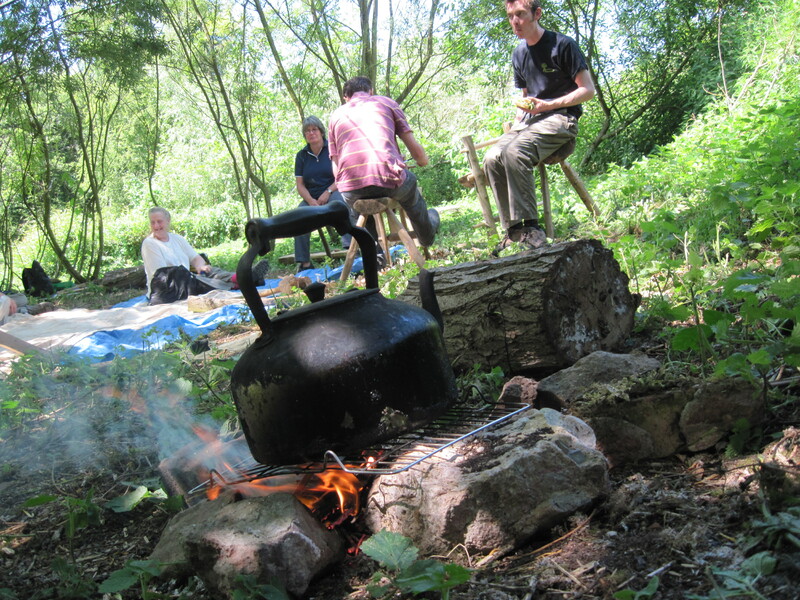 Liam has been volunteering with us since January. 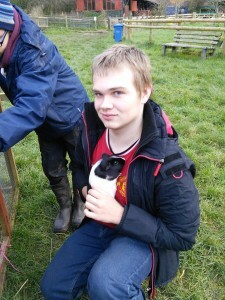 He was on the Animal Management and Conservation course at SGS College in Filton and came to us for his work experience. 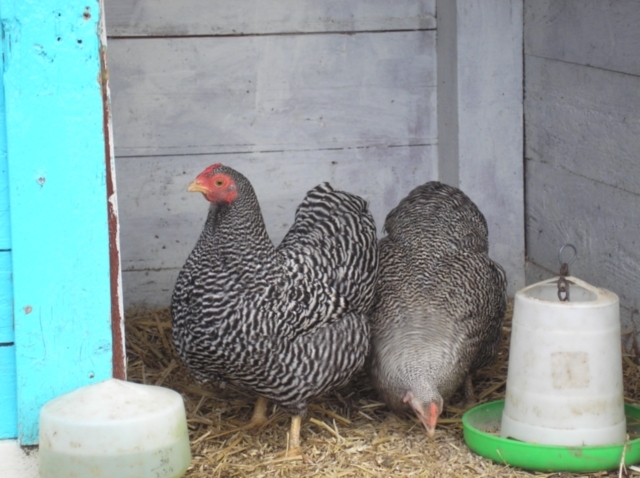 He chose the farm because it was local to him and we had different animals from the usual house pets. Liam loves volunteering here and working with the different animals – he says he is never bored! 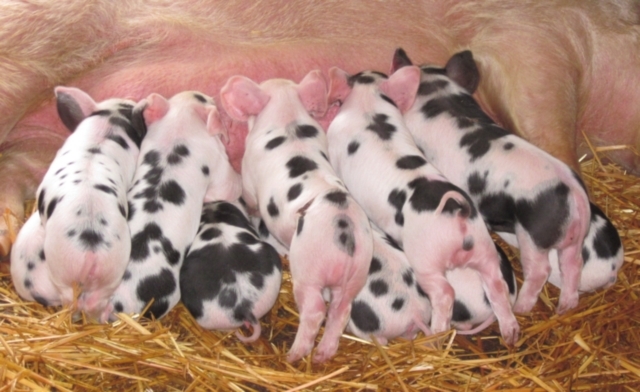 He has lots of fun and especially loves it when the piglets are born. He has enjoyed seeing the changes over the last 11 months including the building of the cafe. 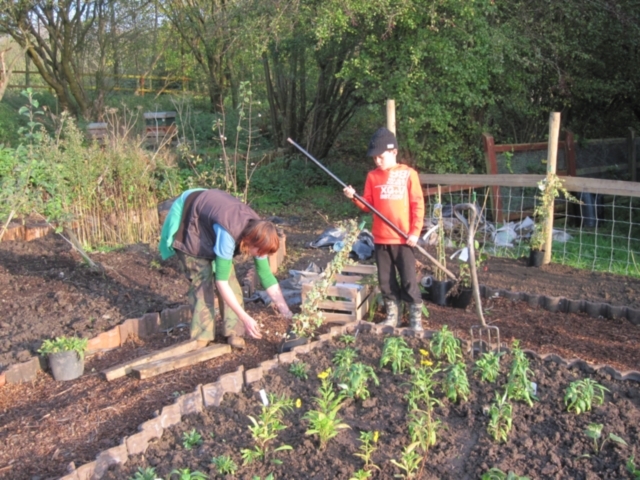 Liam also helps out with Farm Tots, our regular hands on session for under 5s and their carers. He brings out a hen every week so that the children can see one up close and stroke it. The only aspect of volunteering here that Liam doesn’t like is working in the rain! Recent Liam got a job at Macdonald’s. 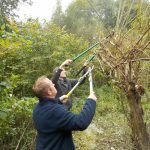 He feels that volunteering at the farm really helped with this, as his confidence with people and the public in general has really improved. His other employability skils have also improved such as being able to turn up regularly and reliably on time. 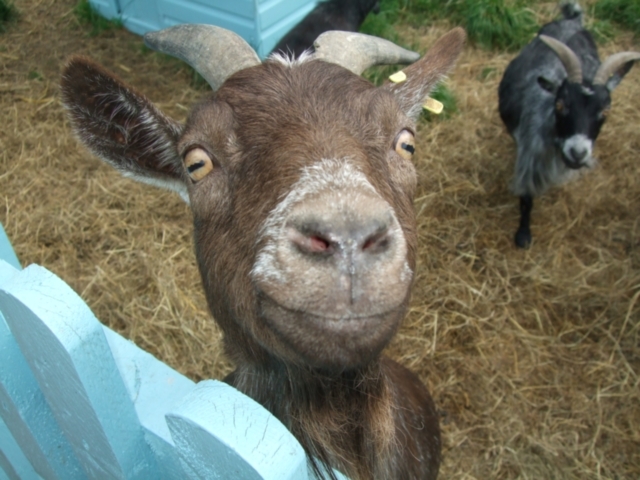 Liam took a picture his favourite animals – the naughty goats. 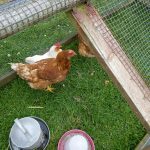 This entry was posted in Animals, Volunteers and tagged animal care diploma, Animals, college course, farm, fun, self confidence, volunteering, work, young people on December 2, 2015 by Kerry Rowe.